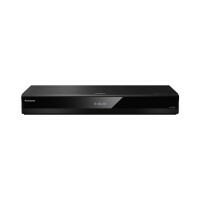 The UB820 4K Ultra HD Blu-ray Player features unique chroma processing technology to maximise the beauty of 4K/HDR content, built-in wi-fi with a smart networking suite that supports 4K streaming, and a 7.1-channel analogue audio output for lifelike surround sound. 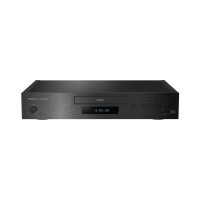 The UB9000 reference-class Ultra HD Blu-ray player uses Panasonic’s unique chroma and HDR processing technologies to reproduce images with cinema-level quality at home. Awarded by EISA as the leading 'High-End UHD Blu-Ray Player 2018-2019'.